I'm obsessing about wild foods these days. Mostly because I'm working with singular focus on the text for my next book (due 12/31!) but also because as the growing season ends I especially appreciate those few plants that are still growing and feeding me! 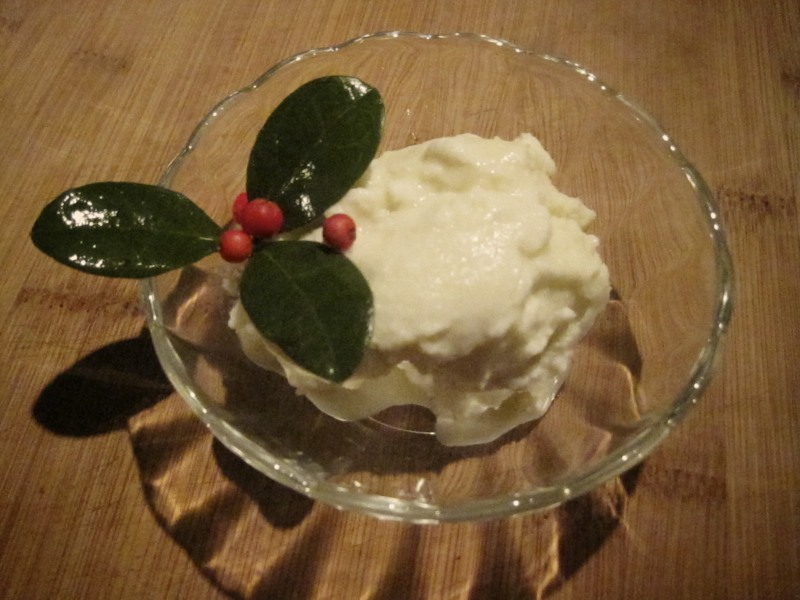 Last weekend's meals included chestnut cake, sauteed day lily tubers, and the most troublesome (and ultimately most rewarding) dish: wintergreen ice cream. Wintergreen (Gaultheria procumbens) is a modest evergreen ground cover that comes into its own this time of year. 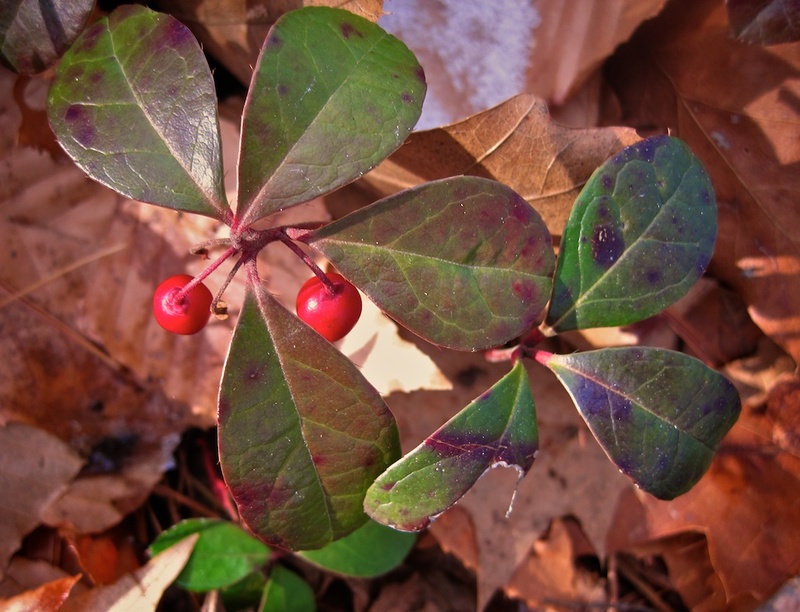 As other plants drop their leaves, wintergreen's glossy green leaves and occasional red berries stand out. It grows best in shade to part shade; in cold temperatures the leaves may take on a reddish tint. My happiness ended when I MADE the ice cream and it tasted like MAYBE someone had THOUGHT about wintergreen while making the dessert...seriously, barely a whiff of flavor. And that was AFTER I'd tripled the number of called-for leaves and chopped and bruised the foliage to release the essential oils. This was an egg-based (custard) ice cream recipe. I thought maybe the strong egg flavor dominated the wintergreen, so next I tried an egg-less (some call it NY or Philadelphia style) ice cream. After simmering more than a cup of chopped wintergreen leaves in the cream/sugar mixture, the flavor was still underwhelming. Slightly stronger, but not what I was looking for. Feeling dejected, I returned to the library, and eureka! 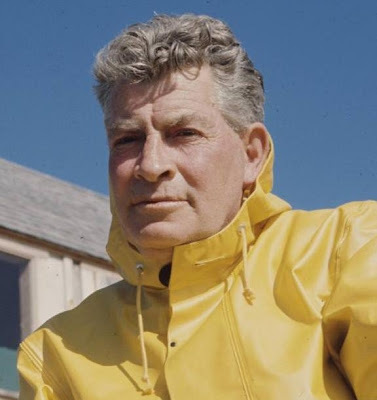 Thank you, Euell Gibbons. 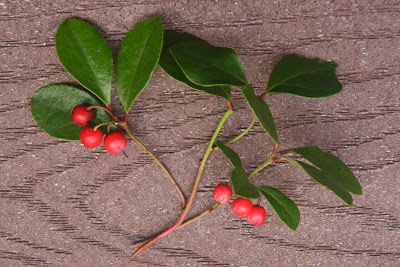 Euell wrote about the weak taste of wintergreen tea in Stalking the Healthful Herbs. 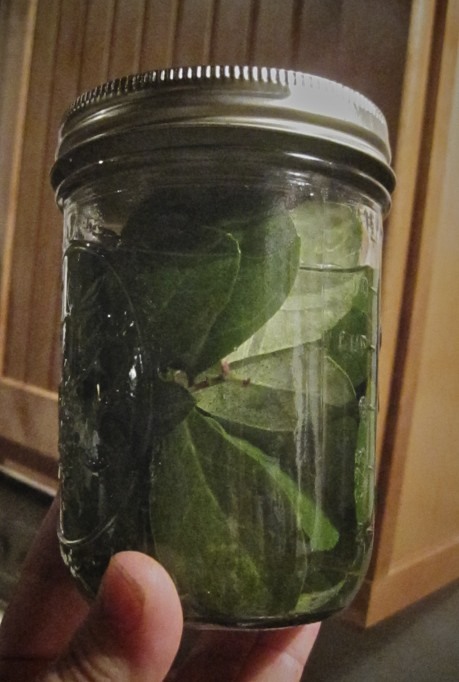 He inadvertently discovered that soaking the leaves in room temperature water releases the essential oils and creates a strong wintergreen infusion. Some internet sources say the release of flavor takes place in as little as 12 hours. Euell said 3 days and darned if he wasn't right on the money. In the end I made a superb wintergreen ice cream with 2 cups of cream, 3/4 cup sugar, and 1 cup of strong wintergreen tea. Sweet, unique, and not on any restaurant's menu. It wasn't easy getting there, but every bite proved it was worth the effort. All these talents I never knew of! I'm going to try the long-soak method with my wintergreen when I cut it back before winter. Thanks, Ellen! You've made a great case for the need for well-researched books even in this time of information sharing on the internet, and also for the need to rely on various sources (your own firsthand experience as well as countless others) in order to know something properly. I hope you are rewarded for following and studying your passion with great success when the book is finished. Thank you, Sweetgum. I'm committed to making this book true and useful and won't include anything I haven't thoroughly tested. I really appreciate your noticing that and I'm glad you think it's important, too.